Not on this hill, not in that house. Something calls you somewhere else. What drives much of this collection so beautifully is McQuain's skill with rhyme, alliteration, and sonics. He competently wields music to create tension and both push the reader forward and circle them back into the poem's ringing eddies. This combined with his evident skill in line break create a propulsion that tows along even the reluctant reader. From "Alien Boy,"
If this collection has any weakness it can be that the music sometimes rings too loudly, or seems to cloy about the reader, reducing the power of the mostly steady momentum McQuain creates. To his credit, McQuain isn't afraid to tackle larger, often fraught subjects in his poems from the origins of man in "Creation Myth," to race in "Southern Heat," and "Brave." 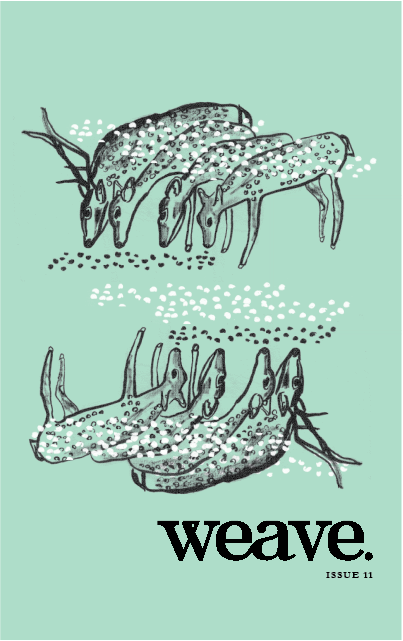 In this chapbook's 40 odd pages McQuain navigates the narrative tensions of What was/Was not and What is/Is about to be. I recommend readers on the lookout for a solidly written chapbook to give McQuain's VELVET RODEO a read. 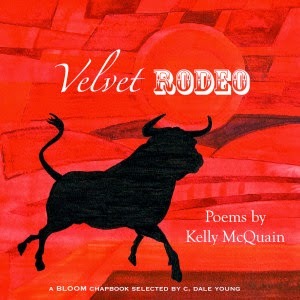 Kelly McQuain's VELVET RODEO was selected by C. Dale Young for BLOOM magazine's2013 Chapbook Prize for Poetry, and it is available at their Bloom Books online store. 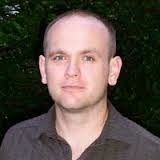 His poetry is also forthcoming in A&U Magazine and the anthologies The Queer South and The Sonnets Remixed.